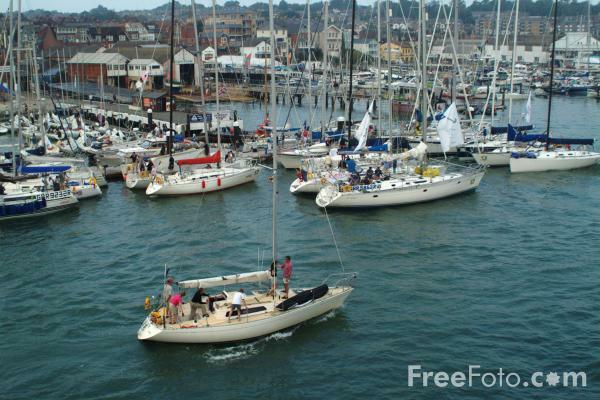 Pictures of Cowes Week 2002. Cowes is one of the world's largest yachting regattas and takes place in Cowes, Isle of Wight, England during August each year. VIEW: More images from the category Cowes Week 2002 or taken at the same location or around the same time .